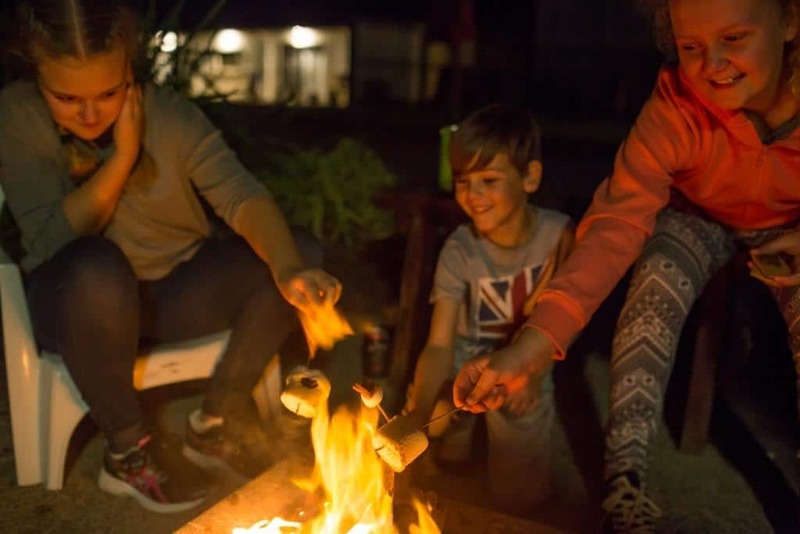 We all enjoy a camp fire at The Retreat Port Stephens NSW but there are some important changes that we need to advise all guests, past and present. There have been some changes to the camp fire at The Retreat Port Stephens NSW. Due to total fire bans between the months of Oct – April and restrictions. Due to the strict fire restrictions that are imposed in the area between the months of October – April we have had review the use of camp fires. Throughout the months of April – September these fire restrictions are lifted however the risk of bush fires is forever there. During these months we will continue to allow camp fires however they will be with prior arrangement only. DUE TO STRICT FIRE REGULATIONS & LICENCING PERMITS WE ARE HAVE BEEN ADVISED WE ARE NO LONGER ALLOWED TO HAVE FIRES WITHIN THE PARK IN THESE MONTHS. The Retreat does offer a great range of facilities for all guests to enjoy year round. Perfect for couples, families and groups we are a secluded bush hideaway backing onto the Southern Hemispheres largest living sand dunes.